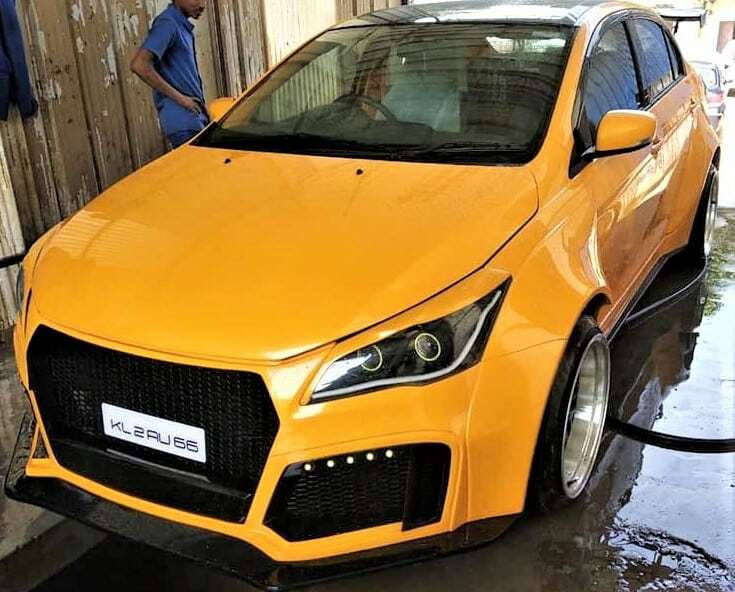 Modified Maruti Ciaz Widebody Edition by 360 Motoring: You may have come across hundreds of modified cars but, this Ciaz hits the right spot with its vibrant appeal and praise-worthy dynamics. 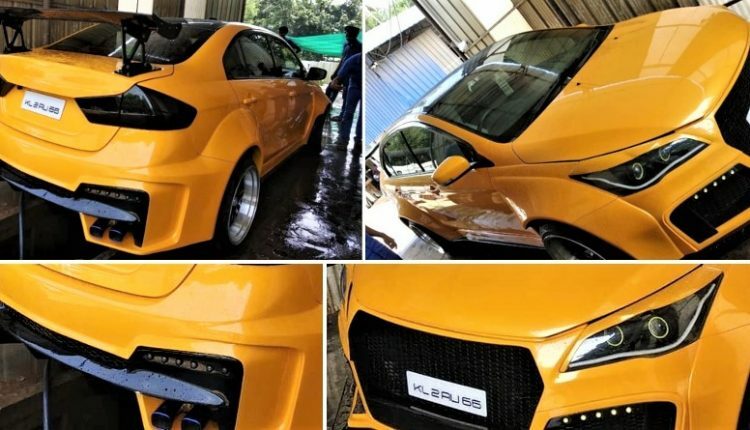 This specific example looks nothing less than a hot wheels collection car with modifications that are far beyond imagination. 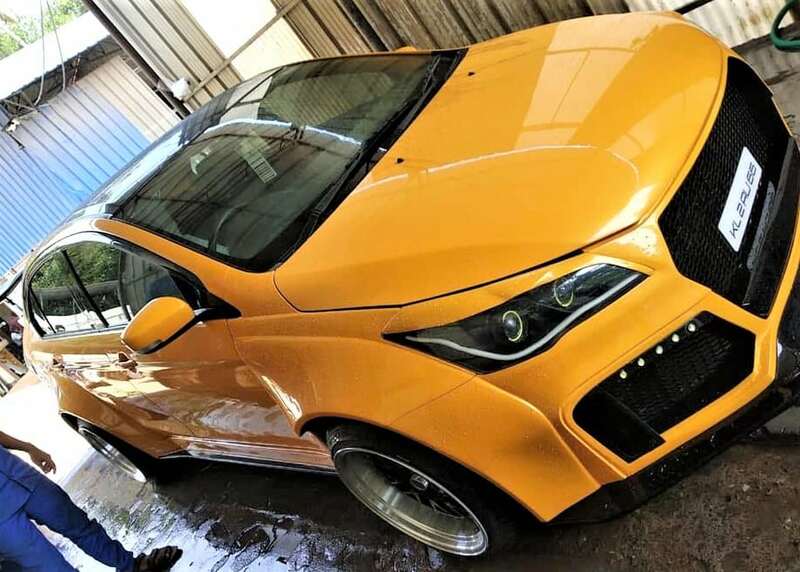 The inspiration comes from a drag racer as extra wide tires, with rims that can turn you speechless is the best combination ever on an already sporty sedan. The front of Ciaz has been modified to create a sharper effect, leaving no stone unturned through gloss black splitter, all black center grille, and extended bumper to bring a perfect mount for the custom designed fender. The headlights are smoked, carrying dual projector headlights and LED daytime running lights. 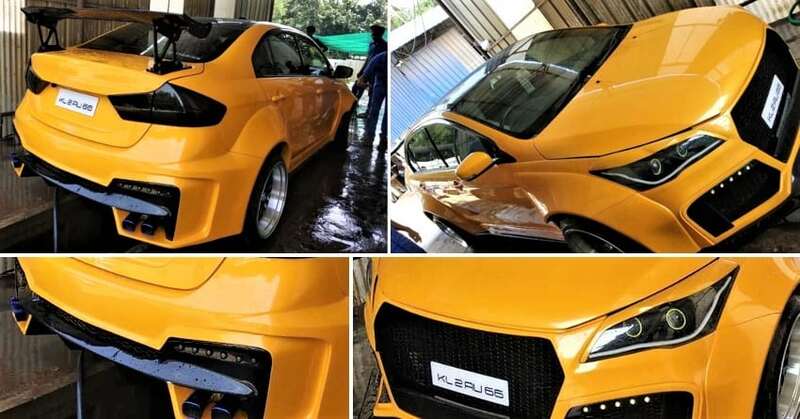 The modifiers have used perfect spots for all black finish as the roof, fog light casing, spoiler and rear splitter helps the vibrant yellow shade feel alive and gets your heart racing. 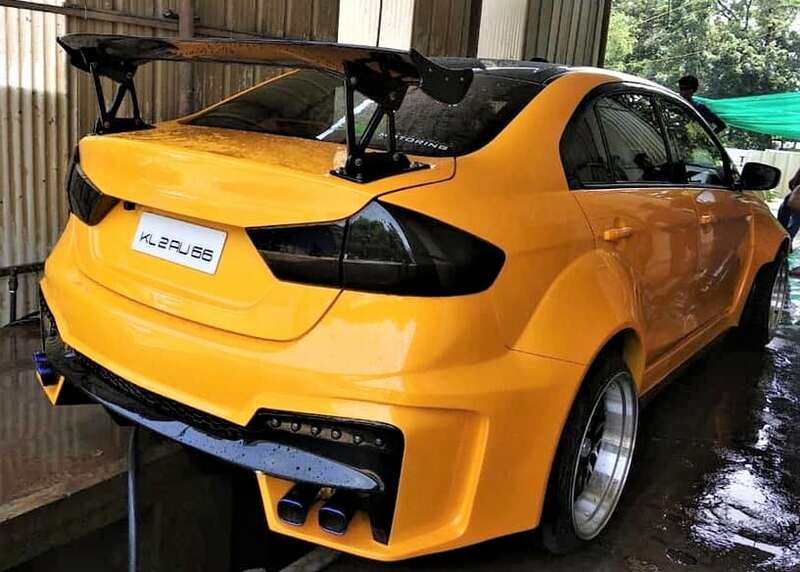 The rear section flaunts multiple exhausts, NFS inspired spoiler and smoked taillight. The rear fender area is modified to achieve a handful of added thickness for that custom alloy wheel. A modified version of Maruti Ciaz is not a common sighting as a majority of buyers prefer this car for its value for money approach among c-segment sedan options. The engine modifications, if made, to this specific Ciaz were not revealed. A stock version brings two different engine options for a buyer, out of which, the petrol motor is available with an automatic gearbox. Those looking for a manual petrol sedan can get the top spec Maruti Ciaz for INR 9.97 lakh (ex-showroom Delhi). The difference in petrol and diesel top spec variant is justified as the same number of features in a diesel engine variant will require you to spend an extra INR 1 lakh (INR 10.97 lakh, ex-showroom price). The Ciaz Alpha with an automatic gearbox costs INR 10.97 lakh and uses a 4-speed AT unit.